If you’re looking for one of the best and the most flexible WordPress themes, then Electro is what you need to opt for. It’s the amazing Electronics Store WooCommerce theme that will help you make the best out of your WooCommerce online store. 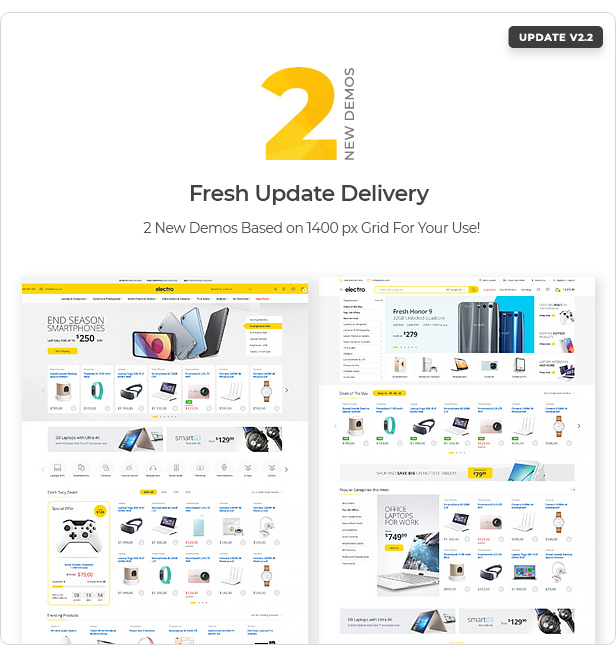 Whether it’s an affiliate website, a vendor marketplace or an electronics store, Electro will do wonders to your site, and the best part is that this theme is available at https://bestwpware.com/, who have a wide range of the best and Premium WordPress themes to choose from. Unlike the other complicated WordPress themes that require you to go through complicated installation processes, Electro comes with an easy installation process. Not only is this, in fact, even setting up this theme just a matter of a few minutes. You don’t have to spend even a single penny to avail the updates of this theme, and you will get it all for free. One-to-one support is always available for this wp theme in case you face any trouble with the installation. With Electro, you will get a variety of Homepages to choose from. There will be 5 options available to you, and you can pick the one that suits your store the most. Electro is one of the best WordPress themes because it also allows you to integrate with multi-vendor plugins like WC or Dokan vendors. In a nutshell, with its help, you can even set up a multi-vendor online shop. There’s just so much more to this WordPress theme that will impress you and shock you all at the same time. So, now don’t wait anymore and get the Electro theme from https://bestwpware.com/ right now. We assure you will love the experience here.